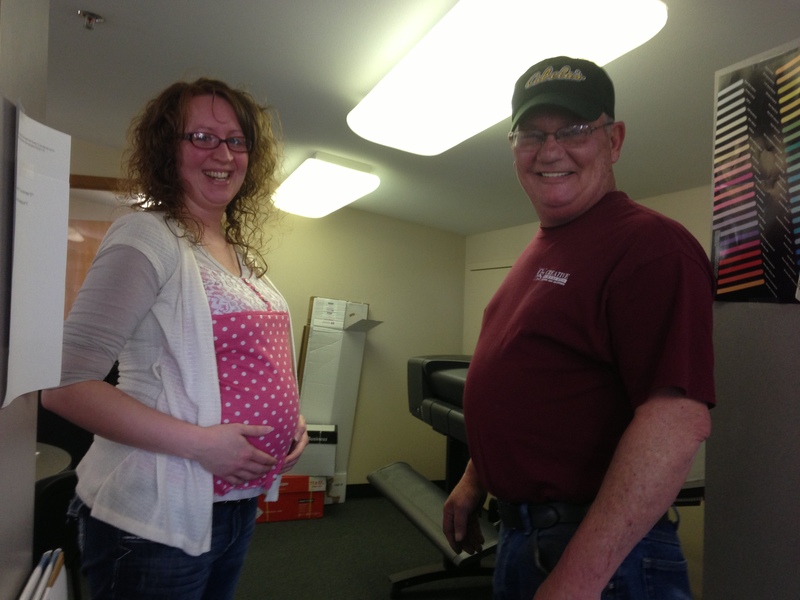 Our resident Graphic Designer, Amanda, is expecting her first child any day now. The sign division guys decided to poke a little humor into the mix by attempting to determine “Who’s Bigger?” Here’s a side-by-side shot of the two. …And well… Kevin isn’t quite as big but was a good sport for playing along. Good luck, Amanda, with your first child! So excited for you! You will be a great mom, I just know it! PS…so cute pregnant! thanks, Sherri! Still here – overdue now, but hope she shows up soon!